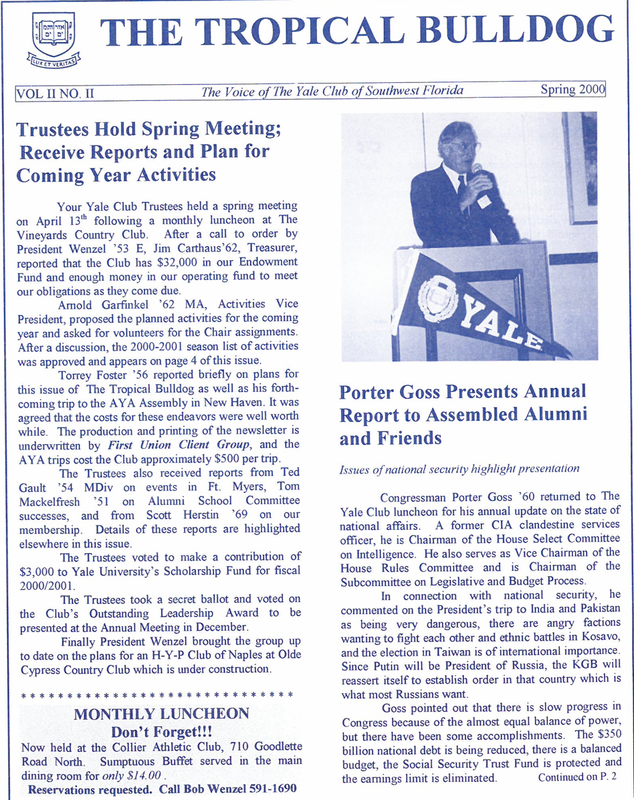 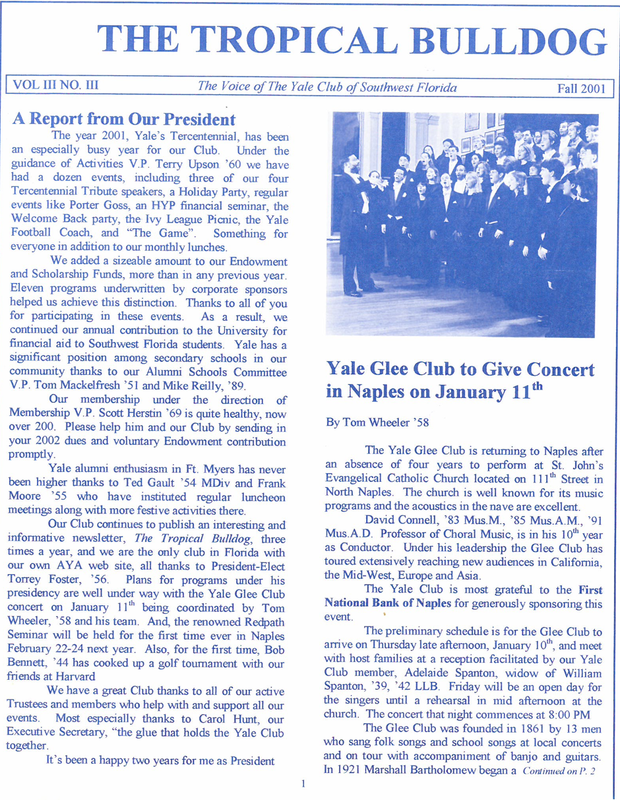 Enjoy reminiscing about our beloved Yale Club through the archived newsletters below! 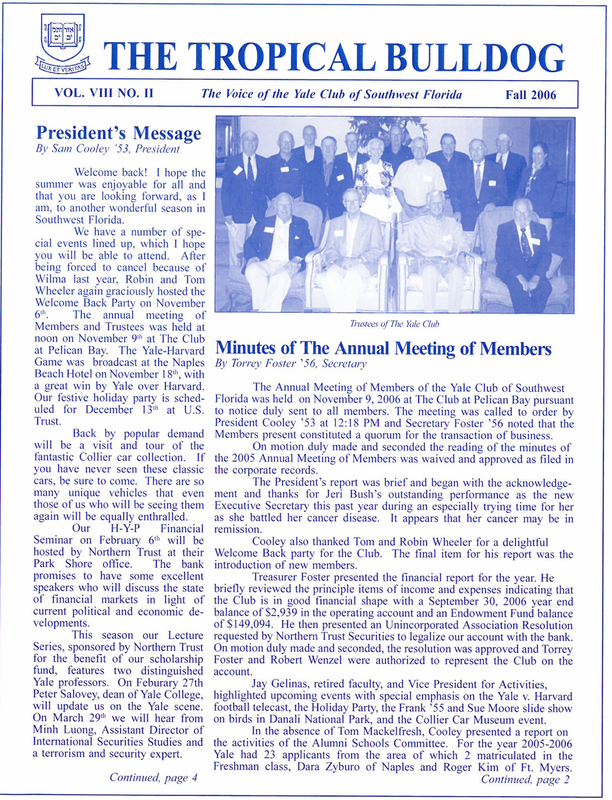 Click on the image of a newsletter below to see the full newsletter (a PDF file). 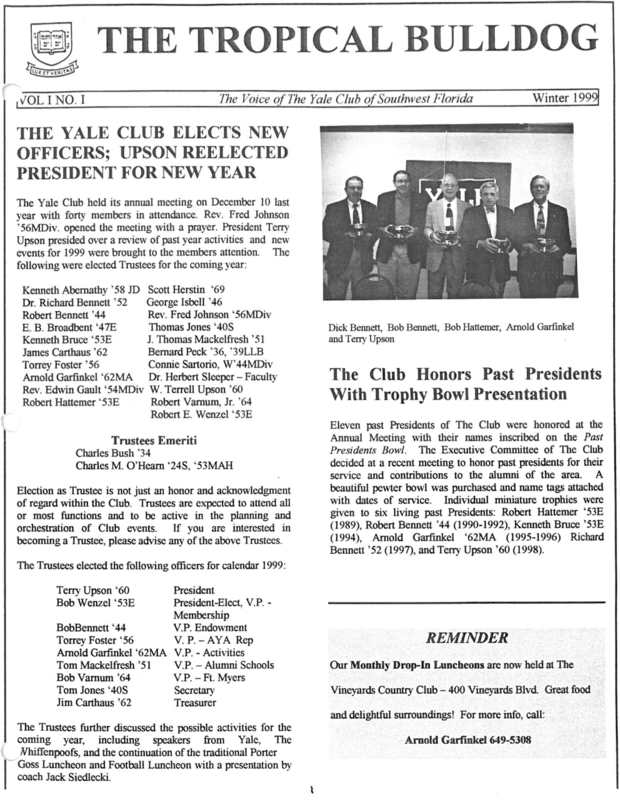 We are always seeking to expand our archive. 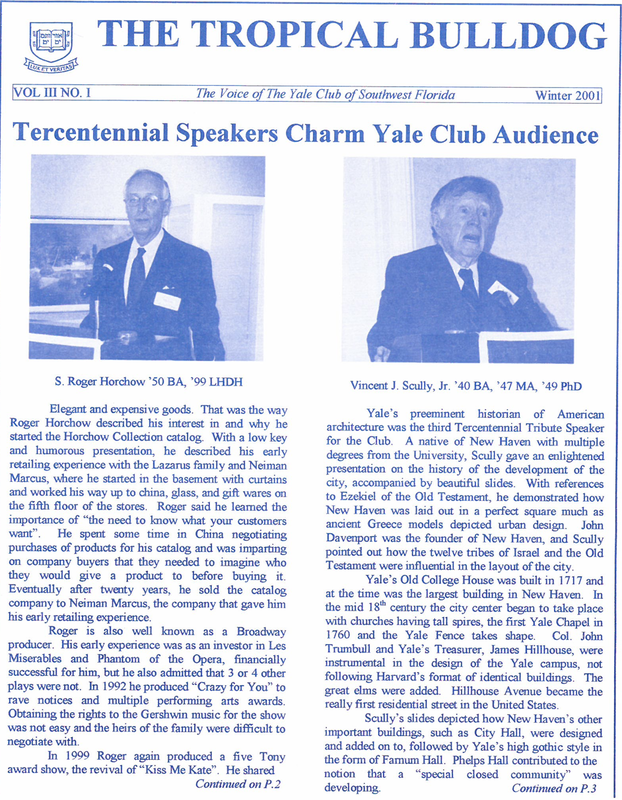 If you have additional comments or stories about any of the events or people that were part of our Yale Club History, please add your stories to our Interactive History section on the main archive page. 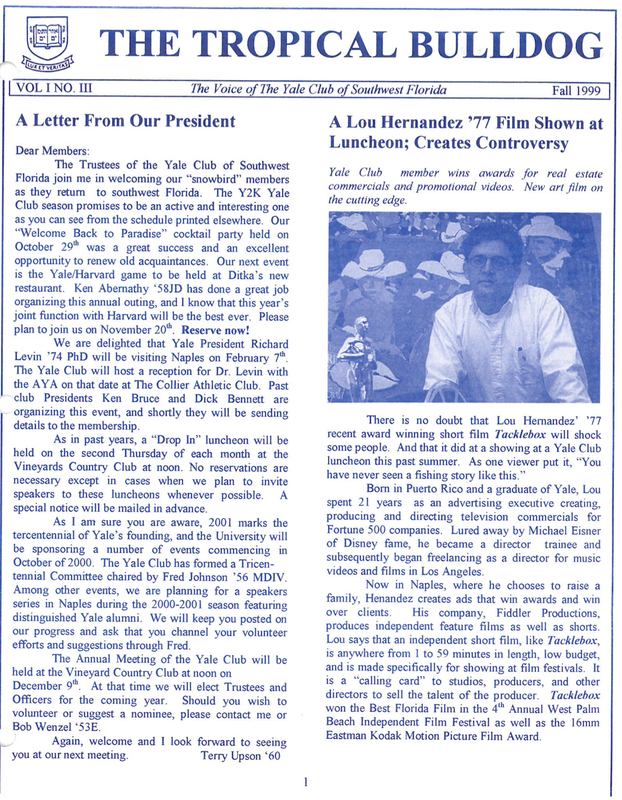 This section of the archive will allow you to post your stories and anecdotes so that other Yalies can enjoy them.